PEAT is not in a position to organise larger fundraising events. We therefore rely on our member families for fundraising in their local communities, with our support. Organise an event for PEAT and fundraise in your own way. We can help you get started and guide you along with way as well as providing t-shirts, collection boxes or buckets, stickers and sponsorship forms, etc. We can disseminate your event among our member families and promote it on our website and social networking. Or, come up with your own unique event – shave your head, jump out of an aeroplane, dance competition. Ceate your own fundraising page on Justgiving�to support your event and make fundraising and donations to your event easy! PEAT is able to book/arrange the necessary paperwork for street collections and in-store collections/bagpacks if you are able to get a team of volunteers to collect the funds. You can let us know your preferred dates, names of shopping centres and areas in which you would see as best to collect,�we could then submit all applications and supply you with buckets, t-shirts, stickers and more! If you are interested in organising�an event or fundraising for PEAT, please�contact us�today. Raise money for good causes, simply by shopping online. PEAT is registered with Easyfundraising and Amazon Smile to receive donations. Easyfundraising is a way to raise money for good causes, simply by shopping online. Shop with over 2,700 top retailers. PEAT is registered with Easyfundraising to receive donations. 1. Start at easyfundraising - Let's say you want to buy a book from Amazon. Instead of going to amazon.co.uk, you go to easyfundraising.org.uk first - or you can use the easyfundraising toolbar. 2. 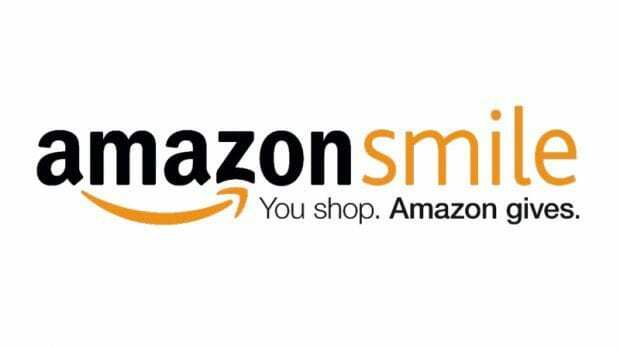 Make a purchase - You click from the easyfundraising website through to Amazon to make your purchase. The price of the book is exactly the same as if you'd visited Amazon directly. 3. Get a donation - After you have bought your book, Amazon will make a donation to your cause as a thank you for shopping with them. It costs you nothing! So whether you’re doing your weekly online shop at Tesco, Sainsburys or Asda or shopping for gifts etc, go through easyfundraising first to get an online donation for PEAT at no extra cost to you.Add an easyfundraising page to our website and show logos and links – available on the easyfundraising website. Here is the link to support PEAT through your amazon purchases. Ebay Just about everybody knows about eBay. Every day, millions of people log on to browse through auctions in search of bargains. Just open up eBay, and click on the "Giving Works" link on the left-hand side of the home page. List any item and donate between 10-100% of the proceeds to PEAT. After the item sells, PayPal Giving Fund, eBay's nonprofit partner, collects your donated proceeds and eBay then credits your selling fees proportional to the amount donated. PayPal Giving Fund processes the donation and distributes it to PEAT. If you're looking for a way to unite your company behind a great cause, why not choose us as your next charity of the year? A lot has been done over the last 10 years to increase awareness of autism so that the disability is recognised however much still needs to be done to raise awareness of how autism affects a person and their families throughout their lifespan. We also need to raise awareness about proven approaches to support the diagnosed individual helping them to reach their full potential. Adopting PEAT as your charity partner will allow much dissemination about autism, the challenges and struggles that autism brings as well the best way to support an individual with autism. A partnership with PEAT will help us strengthen and develop core services as well as expanding services to meet the demand of the ever increasing prevalence of autism. Upon choosing us as your charity partner, we will work with you to agree a fundraising target and help you choose a tangible funding project that will resonate with both your employees and customers. There are so many simple and fun ways to raise funds through your offices from cake sales and quizzes, to dress down days. Our team can assist you and your staff with ideas and advice. For the more active, there are challenge events that include anything from marathons to fun runs. Demonstrating your company values and commitment to your customers, employees and local community on an issue that affect their lives. Publicising events to engage your staff. Creating seasonal marketing materials to encourage staff fundraising. Each partnership is unique and based on individual needs, just like the service we provide for the children, young people and adults with autism that we support throughout Northern Ireland! If you’re interested in learning how you can get your company involved please contact us. There are many activities you can do to help fundraise for PEAT at nursery and school. Charity fundraising is a great way to build knowledge, raise awareness and encourage children and young people to support others. It can also be lots of fun too! There’s a whole heap of fundraising ideas for schools that can help. You can include staff, pupils and even parents! Guess the amount Filling a glass jar full of sweets and getting people to guess the amount there are is a quirky and intriguing idea, with the winner receiving either a percentage of the money raised through the guesses, a donated prize or even the sweets themselves. Non-uniform day A dress down day is a particularly popular choice amongst pupils. Charging a fixed donation to everyone who takes part throughout the school can raise lots of money for minimum effort! Fundraising by students is a regular activity in most schools. The reasons are obvious. Fundraising involves fun activities that help others yet fundraising is not always as educational as it could be. Find out what we actually do, educate your students about autism with our support, and let us tell you what your fundraising efforts will support. Let us know if you would like to team up with our charity for your school’s fundraising and we will let you know why you should support PEAT. Contact us. How far will you run or walk to help children with an Autism Spectrum Disorder? Running for Autism gives you the power to raise money to support PEAT and help to make a difference for our children and their families. *Set up your own fundraising page on JustGiving and tell everyone you know. Support the organisation that provides support to families all across Northern Ireland. Take part in a local marathon, relay, fun run or walk. Taking part in a running challenge event is a great way to fundraise. Larne March 2019; Omagh March 2019; Newry May 2019; Lisburn June 2019; Ards June 2019; Cookstown July 2019; Waterside September 2018; Belfast September 2018; DUNE Cross Border Half Marathon Feb 2019. Derry Walled City Marathon June 2019; Enniskillen 10k Road Race & Walk TBC; Runher Delamonth Womens 5 & 10k April 2019. For further information and support contact PEAT here. Some unique events that raise valuable funds for our charity are detailed below. 'EAT for PEAT' - A unique fundraiser for our charity. Host your own fundraising dinner party for PEAT. Why not get together with your family and friends and 'Eat for PEAT'. Whether it's an intimate dinner party at home for a few close family and friends or a dinner for the members of your local golf club, we'd like you to arrange your own evening and ask your guests to each make a donation in exchange for some wonderful food and great company! Every penny your dinner party raises will help PEAT in continuing to provide services to families across Northern Ireland living with autism. Every penny raised from each 'Eat for PEAT' dinner party will go directly to support family services. PEAT will provide invite sheets, menu sheets and donation envelopes. You can even set up your own Just Giving fundraising page so that those who cannot make your dinner party can still make online donations to support autism.